After over 70 years in the appliance repair business, Page Hardware & Appliance Co. is stepping away from repair. No need to worry, Page Hardware store is not going anywhere. Despite the economy, “the core of our business is doing well,” explains owner Andrew Page. “However, the appliance repair business has changed drastically since the days of the Maytag Man that my father and grandfather enjoyed.” As one of the last remaining self-servicing appliance dealers in the state, this decision was not easily made. 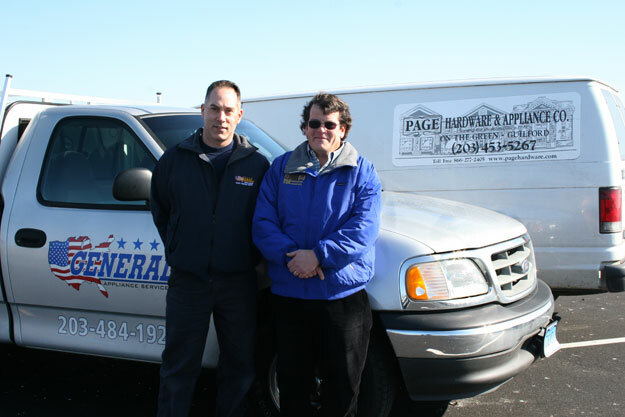 Page Hardware's repair vans came off the road in March of 2012. Page Hardware customers needing repair can contact General Appliance Service directly at (203) 484-1921 or call Page Hardware at (203) 453-8853 for help facilitating service. Page Hardware can also coordinate warranty repair for premium brands, such as Viking, Sub-Zero, and Wold, that will be handled by distributor-based repair departments. General Appliance can service these premium brands out of warranty. Pare Hardware will continue to carry a limited number of parts for sale. 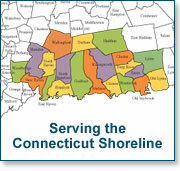 Page assures his customers, “Although we are stepping away from repair, we will definitely continue to offer customer service to our appliance customers.” Customers with questions or concerns are asked to call Page Hardware at (203) 453-8853 or (203) 453-5267. See www.pagehardware.com for more information.